The Element Rockafeller skateboard backpack has a long list of features that make it a great bag for skateboarders. It has a music pocket so you can store and protect your iPod or mp3 player. 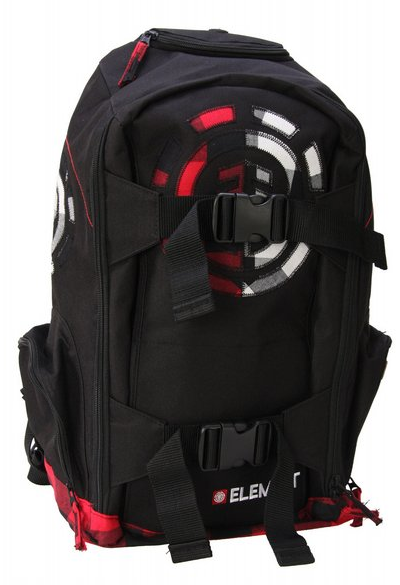 It also has durable skateboard holder straps so you can carry your board on your back. There are side zipper compartments for you to store and easily access your gear. Black and red in color, this Rockerfeller backpack is designed with a plaid Element logo. This is an amazing backpack that is both useful and looks great!